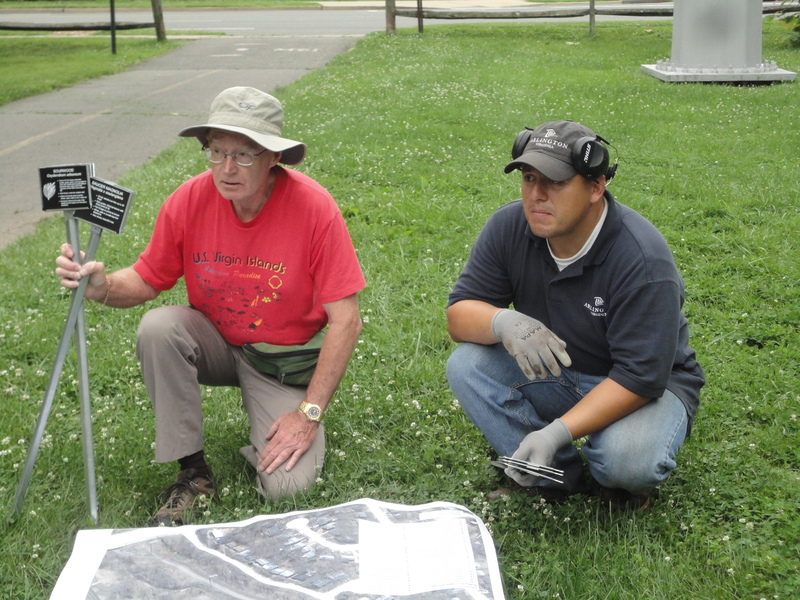 Arlington’s Ornamental Tree Garden located in Bon Air Park alongside the W&OD trail was designed more than 20 years ago as a place for study how a particular tree looked when blooming and during the winter. Over time however, some trees died, signs disappeared or even more confusing were switched so that a small Serviceberry could be labeled as a large Sycamore! 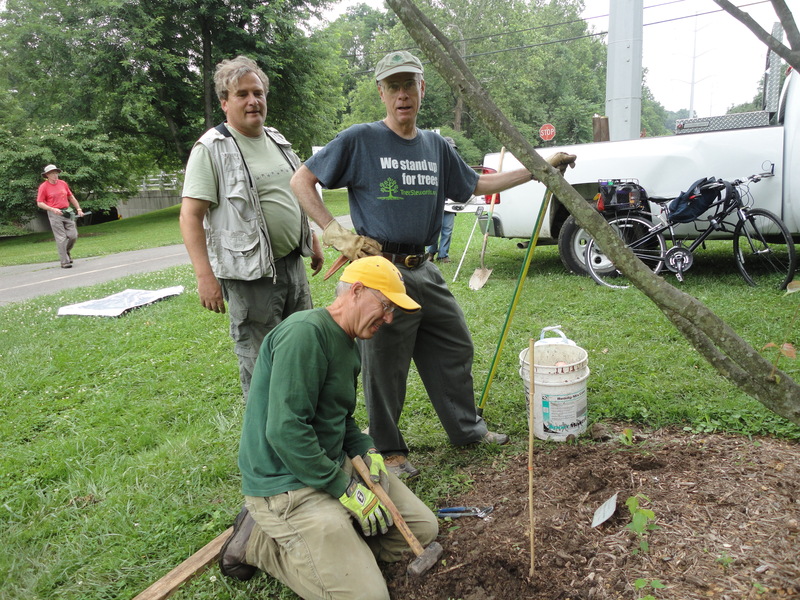 Over the last few years, Parks and Natural Resources staff with help from Eagle Scouts, Americorps, and TreeStewards have removed banks of invasive plants, created a restoration habitat along Four Mile Run, and brought the Ornamental Tree Garden back. 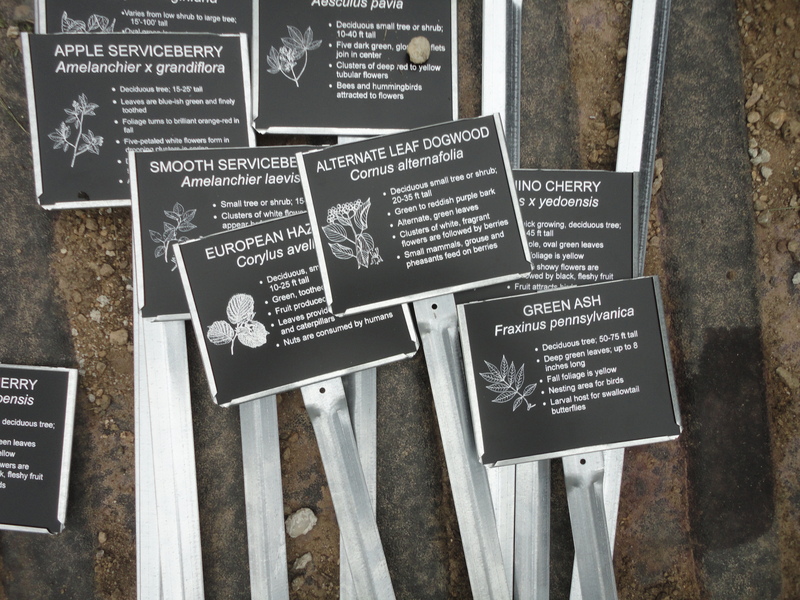 TreeStewards worked with Landscaping Unit staff to place the correct sign at a visible spot near the tree – and this time signs are set in six inches of cement. It’s a work in progress with over thirty ornamental trees currently identified. In the future, TreeStewards hope to create more signage pointing out smaller trees suitable for planting near utility lines, the wrong tree in the wrong place that was topped by the utility company, and the many large native canopy trees that provide welcome shade. Stop by and see the work in progress. This entry was posted in Community Service, Education and tagged Identifying, ornamental, species, tree ID. Bookmark the permalink.